Hard to find service body truck with excellent miles! 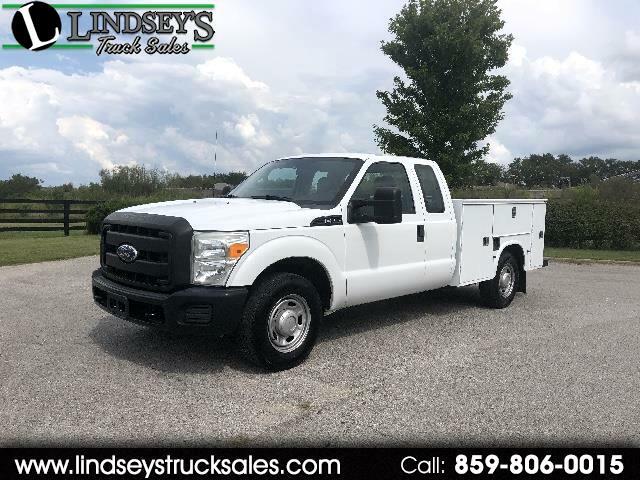 Truck features include 6.2L V-8 gas engine -- automatic transmission -- 3/4 ton chassis -- quad cab (no rear seat) -- tilt steering wheel -- split vinyl bench seat -- AM FM stereo -- tow mirrors -- Knapeide service body -- receiver hitch -- bed liner -- chrome paddle latches -- steel wheels and more. Good tires all around and ready to work. Off lease fleet maintained unit. Message: Thought you might be interested in this 2011 Ford F-250 SD.